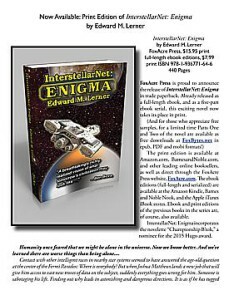 Click on the Page Image Thumbnail to open the July 2, 2o15 Press Release Concerning the release of InterstellarNet: Enigma in a Trade Paperback Edition. 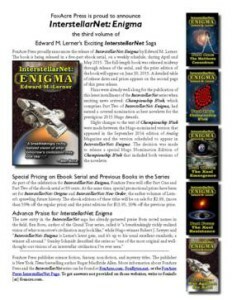 Click on the Page Image Thumbnail to Open the May 5, 2015 Press Release concerning InterstellarNet: Enigma. Right-click to download the file.